When we first started in business 30 odd years ago period fireplaces were our main specialty. With so much house restoration going on they are still very popular today and make a stunning main feature in any room. All of our cast iron fires have the traditional black lead finish and come with fire grates, front bars and cast iron backs when pictured. We also stock fire irons in steel and brass, fire fenders in cast iron and brass and many other fire side objects. 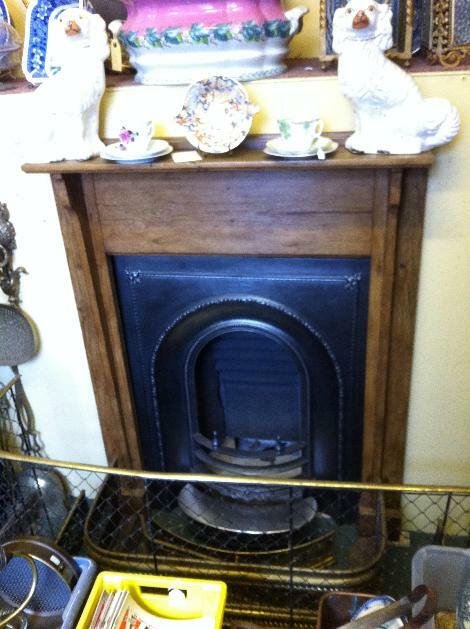 A Victorian cast iron fire insert and surround dating from around 1860-80s and priced at £sold. Also pictured a Victorian nursery fire guard dating from around 1860 and priced at £265. 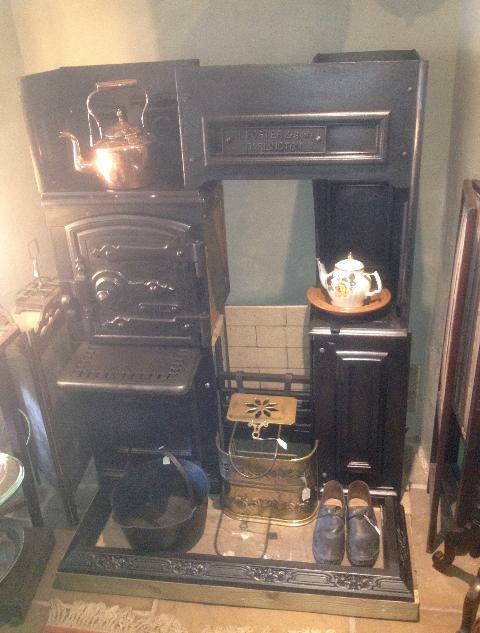 A one piece cast iron combination fireplace dating from around 1890 priced at £280. Also pictured a Victorian nursery fire guard.